Time to celebrate some local YA authors! This week is unofficial local Young Adult author week on the blog. On Friday I&apos;ll feature an interview with Veronica Roth, the author of the very popular book Divergent and its recent follow-up, Insurgent. 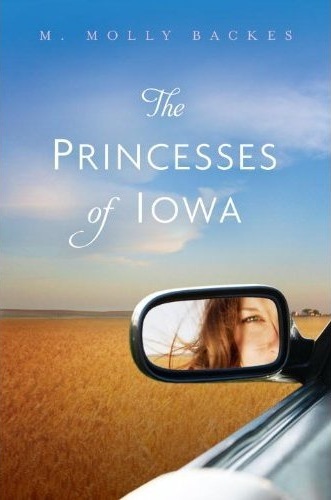 "StoryStudio Chicago, the center for writing and writers, will host a book launch party to celebrate the release of local author M. Molly Backes’s debut novel The Princesses of Iowa. The event, on Friday, May 18, from 7 pm to 10pm, will feature a reading and book signing, guest appearances by local performers, hors d’oeuvres, and drinks. Books will be available for purchase by local independent bookstore The Book Cellar. "StoryStudio is thrilled to host this event," says Director Jill Pollack. "It’s a great chance to bring the writing community together, celebrate the success of our writers, and support our literary partners like the Book Cellar." M. Molly Backes is the Assistant Director of StoryStudio, and has been teaching creative writing classes there since 2008, but she began as a student. “StoryStudio is the perfect place to celebrate the publication of The Princesses of Iowa, as it’s played such a significant role in the life of this book.” Backes workshopped chapters of the book in StoryStudio’s Advanced Fiction Workshop. “I would not be the writer I am today without [StoryStudio director and founder] Jill Pollack,” Backes said. The Princesses of Iowa launch party is free and open to the public. It will take place on Friday, May 18, 2012, from 7 pm – 10 pm at StoryStudio’s Chicago location, 4043 N. Ravenswood, Suite 222, Chicago, IL. For more information, contact StoryStudio Chicago, 773.477.7710 or info@storystudiochicago.com."